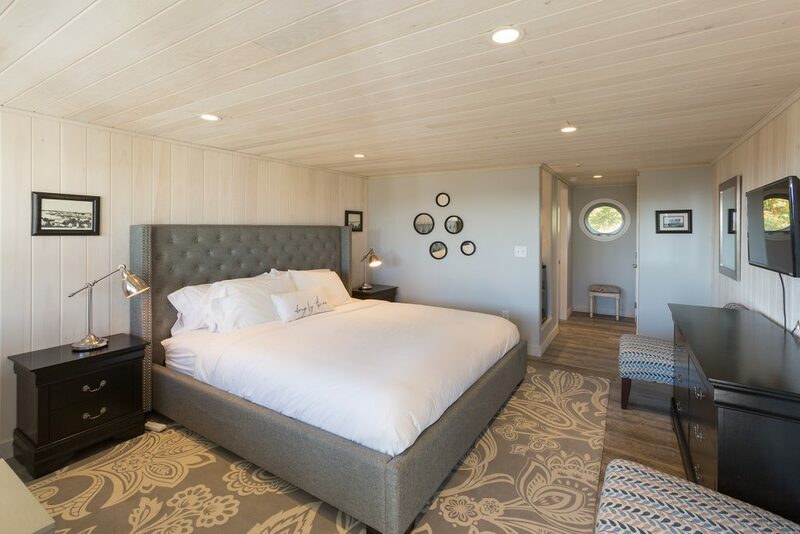 Whether it’s an anniversary surprise or just a relaxing weekend together, Boothbay Harbor is ideal for romantic getaways in Maine. Couples of all ages flock to this peaceful seaside village to relax, unwind, and enjoy a little one-on-one time. Spend a day exploring beautiful nearby islands, or indulge at an acclaimed restaurant. You can even attend an event and get to know the locals. Whatever you choose, we promise your trip will be one for the books! Here are some of our favorite ways to enjoy romantic getaways in Maine. Find out how you can plan romantic getaways in Maine when you download our free Vacation Guide! It’s full of recommendations for things to do and see during your stay at Topside Inn. With its rugged coastline and endless recreational opportunities, Boothbay Harbor attracts adventurous couples from far and wide. Visit a few of our favorite outdoor spots where you and your spouse can connect with nature and each other. Coastal Maine Botanical Gardens: The most popular outdoor attraction in Boothbay Harbor is the Coastal Maine Botanical Gardens. Just minutes from our inn, this facility boasts blooms of all varieties. Feel free to take a guided garden tour during your visit. Nearby Islands: Did you know that there are over 4,600 islands off the coast of Maine? 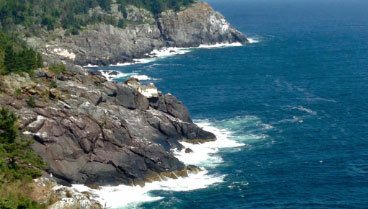 Monhegan Island and Damariscove Island are two of our favorites and are easily accessible from Boothbay Harbor. Spend a day on either isle and enjoy hiking, birdwatching, sightseeing, and more. Popham Beach: If you’re visiting Maine in the summer, be sure to stop by Popham Beach State Park. This 605-acre recreation area is used for swimming, sunbathing, kayaking, fishing, and hiking. It’s also a great spot for a sunset picnic. 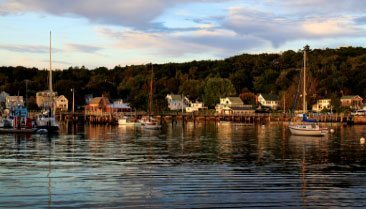 Wiscasset, ME: The town of Wiscasset is known as the prettiest village in Maine. It overlooks the Sheepscot River and spans roughly 28 square miles. Couples may walk hand-in-hand down the historic streets, admiring famous architectural landmarks like the Nickels-Sortwell House and Castle Tucker. There’s nothing better than a great meal after a long day outdoors. When it’s time to dine, head to one of our favorite Boothbay Harbor restaurants for food, drinks, and some eye-gazing. Boathouse Bistro: The Boathouse Bistro offers one of the best fine dining experiences in Boothbay. Here, diners may choose from a wide range of Spanish tapas and classic New England seafood dishes, all while enjoying spectacular harbor views. The Lost Kitchen: For a delicious meal you won’t soon forget, consider visiting The Lost Kitchen in Freedom, ME. Each prix-fixe tasting includes eight to ten courses driven by the season, availability, and weather. It’s the perfect place to go for a true taste of Maine. Shannon’s Unshelled: This local gem is beloved lunch spot. Located in downtown Boothbay, Shannon’s Unshelled serves up some of the most delicious lobster rolls in the state. Read our blog to find out more! McSeagulls Restaurant: Craving a fun night out on the town? Look no further than McSeagulls. This lively eatery has delicious dishes and libations. There’s even live entertainment on weekends. From oyster festivals to sailboat races, Boothbay Harbor offers a wide array of entertainment options for couples. One of the most romantic is the Boothbay Festival of Lights, when train rides, boat parades, and tree lighting ceremonies show guests how Boothbay sparkles in the winter. It’s held in November and is an absolute must-see! Check out our events page for a full list of festivals that you won’t want to miss on your romantic getaway. 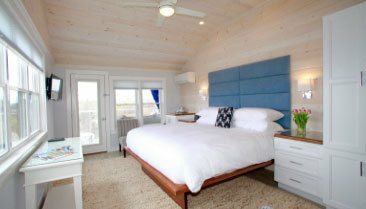 When it’s time to find lodging in Boothbay Harbor, look no further than the Topside Inn. 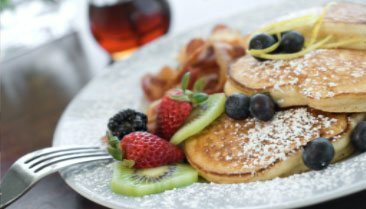 Our charming bed and breakfast is known for its spectacular views, beautifully decorated rooms, gourmet breakfasts, and full concierge services. It’s also the most reviewed 5-star property in the area. During your stay, take advantage of our Romantic Escape Package and make your couple’s getaway even more memorable. You can reserve the package online with your room or by calling (207) 633-5404. We look forward to having you!